One of the main principles of planting for pollinators is to add large blocks of the same plant- 3 or more of each one. 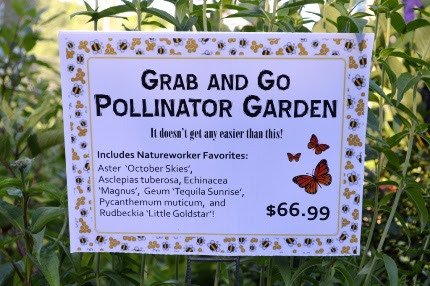 Next, be SURE to provide something in flower every week. That’s called Succession of Bloom and that’s where Natureworks shines! 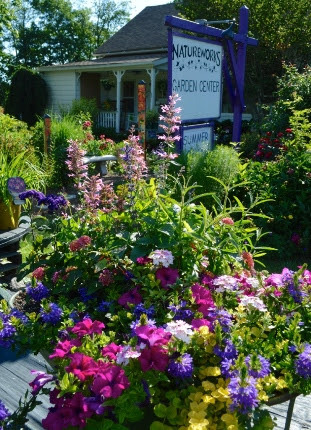 As we shift into summer mode, the flowers that thrive in hot sun and humidity are extremely important to your gardening success. From now until the middle of July, yarrows (Achillea) take center stage. Their flowers are flat topped and are called called umbels. This flower form is important not just for pollinators but also for beneficial insects, the good bugs that eat the bad bugs. 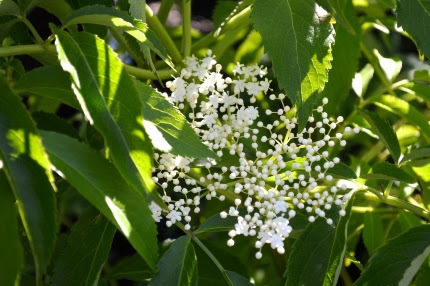 Elderberry bushes have umbel flowers; they are in full bloom now, soon to be followed by nutritious berries. Their hollow stems are home to tunnel nesting bees in the winter. What a versatile plant! bloom from May until October- asters, butterfly weed, mountain mint, black eyed Susans, coneflowers, Geum… Or, if you don’t have a place to plant new perennials at this point, pick up a Pollinator Porch Pot filled with annuals guaranteed to feed the pollinators and attract butterflies or hummingbirds too.